Want to be notified of new releases in simonmeister/pysc2-rl-agents? This repository implements a Advantage Actor-Critic agent baseline for the pysc2 environment as described in the DeepMind paper StarCraft II: A New Challenge for Reinforcement Learning. 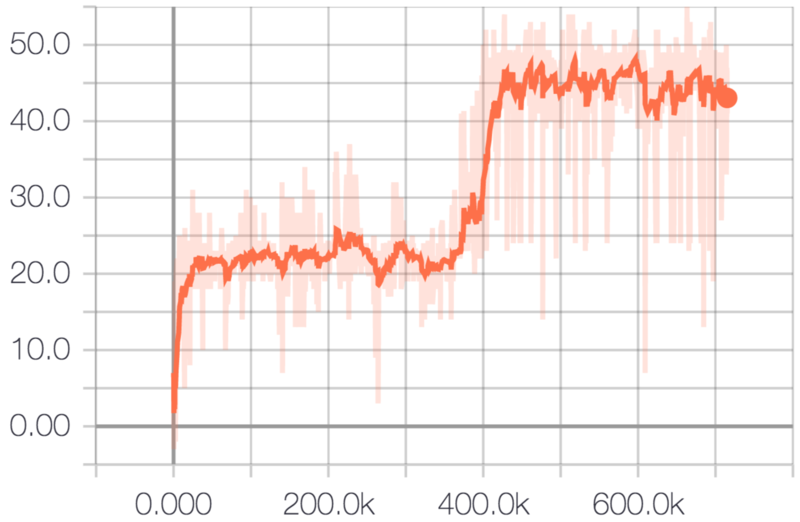 We use a synchronous variant of A3C (A2C) to effectively train on GPUs and otherwise stay as close as possible to the agent described in the paper. This repository is part of a research project at the Autonomous Systems Labs , TU Darmstadt by Daniel Palenicek, Marcel Hussing, and Simon Meister. This project is licensed under the MIT License (refer to the LICENSE file for details). In the following we show plots for the score over episodes. 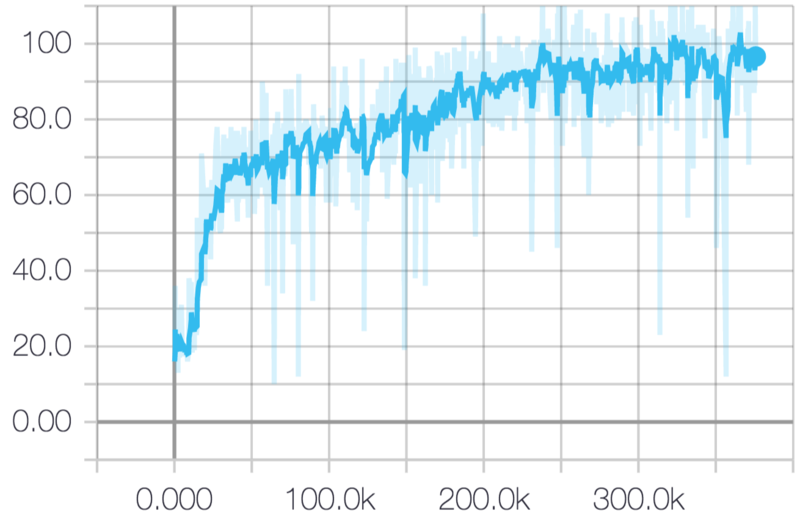 Note that the DeepMind mean scores are their best individual scores after 100 runs for each game, where the initial learning rate was randomly sampled for each run. 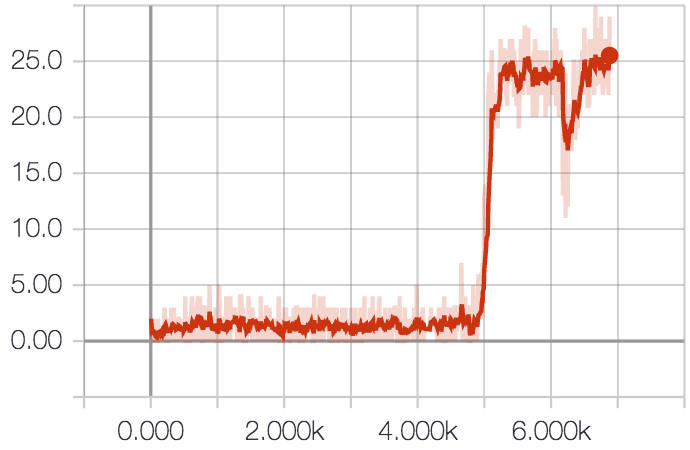 We use a constant initial learning rate for a much smaller number of runs due to limited hardware. All agents use the same FullyConv agent. With default settings (32 environments), learning MoveToBeacon well takes between 3K and 8K total episodes. This varies each run depending on random initialization and action sampling. for fast training, a GPU is recommended. We ran each experiment on a single Titan X Pascal (12GB). Install StarCraft II. On Linux, use 3.16.1. Download the mini games and extract them to your StarcraftII/Maps/ directory. run and train: python run.py my_experiment --map MoveToBeacon. run and evalutate without training: python run.py my_experiment --map MoveToBeacon --eval. You can visualize the agents during training or evaluation with the --vis flag. See run.py for all arguments. Summaries are written to out/summary/<experiment_name> and model checkpoints are written to out/models/<experiment_name>. The code in rl/environment.py is based on OpenAI baselines, with adaptions from sc2aibot. Some of the code in rl/agents/a2c/runner.py is loosely based on sc2aibot.